Actor Larenz Tate Shares What Makes a Happy Marriage. While actor Larenz Tate is probably best known for his role as the smooth talking, poet-reciting Darius Lovehall from the cult classic film about love, “Love Jones” on screen, off screen, he found his ‘love jones’ 10 years ago in his wife Tomasina Parrott. The pair have been married for 10 years as of December 2016 and have three children together. Ten years in Hollywood is at least 20 years in the real world. While Larenz keeps busy with roles on breakout drama series, movies and his new star-studded podcast, “Bronzeville,” he makes sure to keep the love of his life at the forefront of his mind. So how do they still stay married all of this time? Okay, so if you have to pick what are two things that you think have made your marriage work? "I think the compatibility is really important, and the friendship, you know what I mean? When you can have friendship and compatibility and true love That is, for us, the ingredient of a successful relationship. And the thing about it is, we don't go by other people's standards. What works in our relationship and our household may not work for the next people. But it's what we create and what we do. We don't get involved with anybody else's business, we just do our thing. I know, because we was trying to dig up some some information we were like they keep it on lock. Yeah and it's something. Love that. The one thing about our relationship in our family we have three children, we have three boys and our children is our truly our pride and joy. And that's the only thing that we can have like I'm out there you know what I mean. But when it comes to our children and what we have, you know I think it's okay to have some level of privacy." 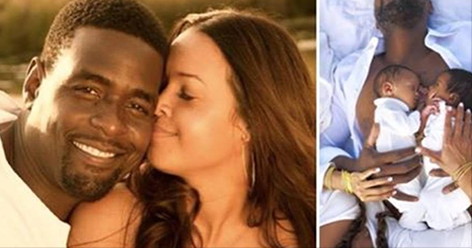 Retired NBA Player Chris Webber Welcomes Twins With His Wife Erika. Tamela Mann Reveals She has lost 246 Pounds..
Tamela, singer/actress and best known for her roll as Cora on Meet The Browns attributes her 246 lb weight loss to a healthy diet and exercise.. ESSENCE.COM: You’ve slimmed down lately. What’s the secret to your new body? TAMELA: I’m trying to keep this weight off. I’m working out. I have a trainer. I’m trying to eat right, not a whole lot of desserts. No sodas. Every now and then I’ll take a swig of somebody’s. 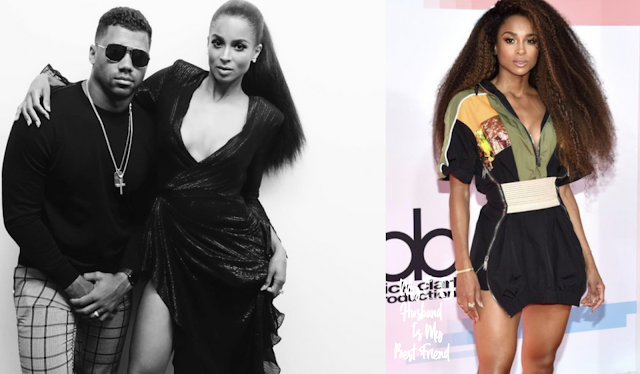 Russell Wilson Surprises Ciara For Her 33rd Birthday.